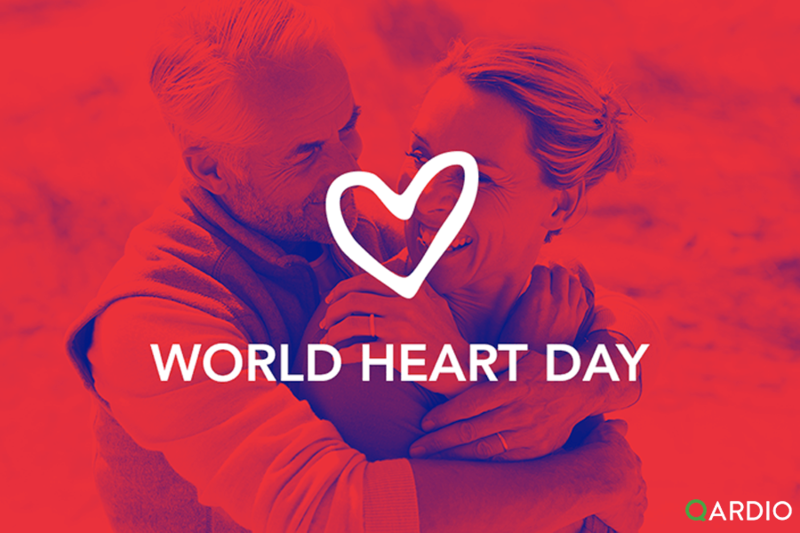 Qardio is supporting World Heart Day’s message to look after our hearts and those of our loved ones. Did you know that 1 in 3 adults has high blood pressure, a risk factor for strokes and heart attacks? Strengthening the heart allows the cardiovascular system to work efficiently, pumping more blood with less effort thus lowering blood pressure. Make some simple changes today for a stronger heart. When exercising, the body’s demand for oxygen and nutrients increases, making the heart pump harder and faster. Over time, this extra work causes the heart to get bigger and stronger, just like any other muscle. Despite the clear benefits of an active lifestyle, many people struggle to fit the recommended 30 minutes of activity per day into their daily routine. Try combining exercise and socialising by joining a local sports team or running with a friend. From football to badminton and hiking, there are many different ways to be physically active. Always schedule workouts into your calendar to make exercise a priority. Whilst exercise is good for the heart, carrying excess weight makes the heart pump harder just to function normally, causing a rise in blood pressure. It’s important to know what your healthy weight is and try to adjust your lifestyle and diet to reach it. BMI is an effective metric to determine your healthy weight range and a recommended standard by doctors for the majority of the population. 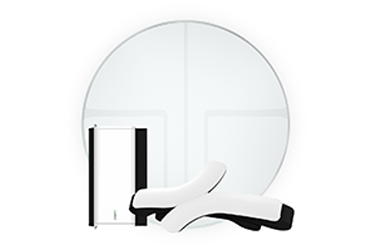 Track changes in BMI easily using QardioBase, the smart scale that automatically syncs to your phone. The average adult requires between seven to nine hours of sleep per night, however, many people fail to achieve the recommended level of daily rest. Quality, as well as the quantity of sleep, is important for the maintenance of a healthy heart health as, during sleep, the heart undergoes repair and strengthening processes to keep it strong. It is important to balance an active lifestyle with sufficient rest. To enhance the quality of your sleep, many would benefit from a simple rule of forgoing digital screens before bed. The blue-light emitted from electronic screens suppresses the release of melatonin, a sleep-inducing hormone. Alternatively, blue-light filter apps can be downloaded onto phones and laptops to reduce evening exposure. A strong heart requires a healthy diet filled with nutrients to lower cholesterol levels and prevent artery blockages. The key features of a heart-healthy diet are high levels of antioxidants, omega 3 and magnesium combined with limited sugar and salt. Adding spinach, walnuts and sunflower seeds to meals will provide additional magnesium, the most important mineral for the heart. Reduce your sugar intake by substituting white with whole grain bread. Whole wheat, whole rye and whole multigrain bread have been shown to lower blood pressure levels when consumed regularly. Pre-made foods usually contain high levels of salt making homemade meals a smarter, healthier choice. Fish-based dishes are high in omega 3 fatty acids that help lower cholesterol levels and hence reduce the risk of developing a blocked artery. For additional information on diet changes for a healthier heart, see the Mayo Clinic recommended DASH diet. Smoking isn’t just detrimental to the lungs. Chemical compounds in tobacco cause arteries to narrow, increasing the resistance against each heartbeat. As second-hand smoke is responsible for nearly 34,000 deaths from coronary heart disease per year, it’s also important to encourage colleagues and family members to quit too. World Heart Day is quickly followed by the start of Stoptober so take the opportunity to begin your cigarette free journey towards a healthier you. Understand how well your heart is doing by regularly checking your blood pressure. It’s important for you to know your regular blood pressure levels so you or your doctor can spot changes faster. Your blood pressure changes during the day so you should always measure at the same time. It is also recommended to track the occurrence of irregular heartbeats as those can indicate early signs of heart arrhythmia. QardioArm is a wireless blood pressure monitor that syncs with the free Qardio App, making it easy to keep your BP measurement history in one convenient place, understand results and share them with a doctor. QardioArm lets you schedule measurement reminders on your phone, tracks changes over time with graphs and has a relaxation mode to aid more accurate readings. Join millions of Qardio app users this World Heart Day and let’s be #heartsmart together. Better heart health for everyone. Want lower blood pressure? Quit smoking!